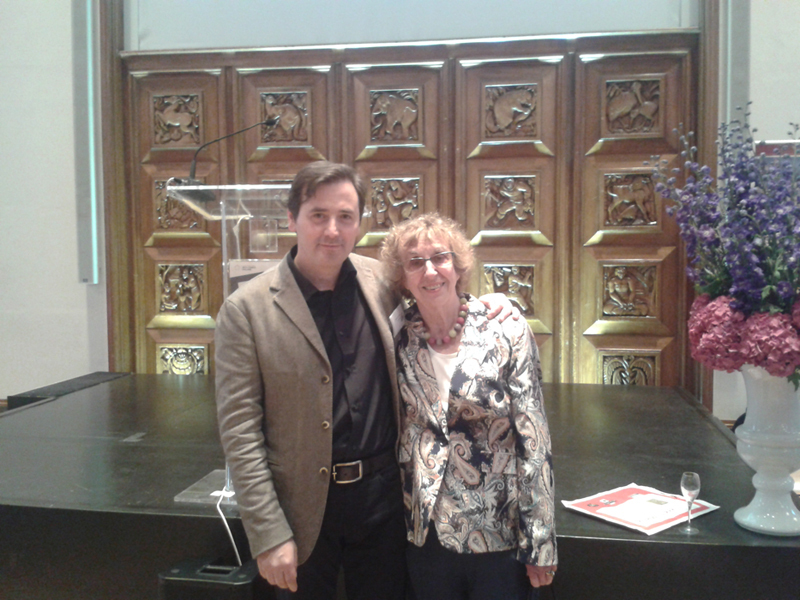 A splendid night at the Royal Institute of British Architects for the annual Taittinger-lubricated celebration of fiction in translation. It was good to catch up with so many friends and take bets on the potential winner. Bill Swainson of Bloomsbury was right in tipping The Detour as the dark horse of the competition – I thought the prize would be a close race between Pushkin Press' The Traveller of the Century by Andrés Neuman or Maclehose Press' Trieste by Daša Drndić (I hope the accents come out OK). We also had a book in the shortlist – Bundu by Chris Barnard – but having won last year, we weren't very hopeful of a new success and were secretly cheering Pushkin's book alongside ours. When they began to describe the winner, all the contenders thought they'd won: "It's a lyrical book… beautifully written… perfectly translated… a love story… a quest… an escape…" That wise man, François von Hurter of Bitter Lemon Press, who was standing next to us, rightly said: "Every cliché applies to every book – because all books are clichéd." In the end, as I said, it was a bit of a surprise when the winner (a deserved one, I am sure) was declared to be The Detour by Gerbrand Bakker (translated from the Dutch by David Colmer). The author's and translator's speeches were sweet and I am sure their nerves eased once they got off the podium and toasted their success with more champagne. Here I am with our author Elaine Feinstein in front of the podium. Tonight is the Man Book International Award ceremony, and we'll be there to cheer our shortlisted author, Aharon Appelfeld – and catch up with some other friends over a glass or two of bubbly. Great job! Well done and keep up the good work.